Holiday Hotel "Cascade" is located 50 meters above sea level, in one of the most picturesque places on the southern coast of the Crimea. 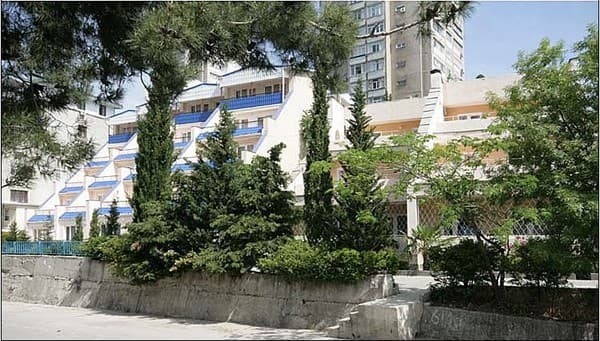 Cascade five-story house is located on the turn of the road in a quiet corner of Partenit, 100 meters from the park avenue leading to the sea (700 meters through the park of the sanatorium "Crimea" on level ground). 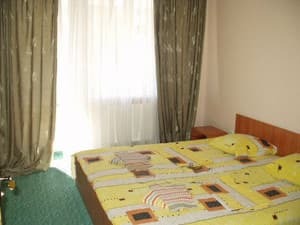 Attention guests are provided 25 comfortable 2-3-room rooms with all amenities. In the boarding house uninterrupted cold and hot water supply (boilers). 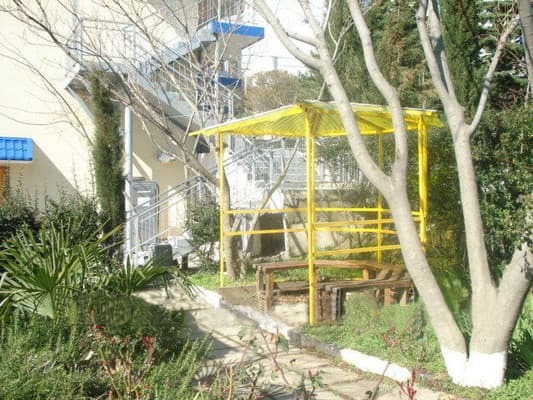 On the territory of the boarding house there is a 24-hour parking lot. Entrance to the rooms from the corridors, rooms on the 4th floor have separate entrances from the site in front of the house, on the 5th floor separate entrances from the terrace. Wi-Fi and parking are available. PRICES MAY CHANGE, YOU NEED TO RECEIVE INFORMATION FROM THE OPERATOR! Description of the room: Rooms are located on the 1st, 2nd and 3rd floors of the boarding house. Entrance to the rooms from the corridors. The room has a double bed and a soft corner, which can accommodate 2 more people, uninterrupted cold and hot water supply (boilers). Description of the room: Rooms are located on the 4th and 5th floors of the boarding house. Entrance to the rooms, which are located on the 4th floor - separate from the site in front of the house, on the 5th floor - separate entrances from the terrace. 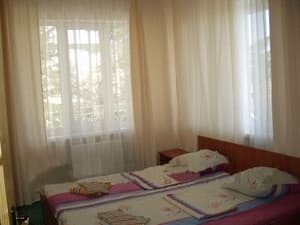 The room has a double bed and a soft corner, uninterrupted cold and hot water supply (boilers). Children under 5 years stay free of charge. Extra bed from 100 UAH. 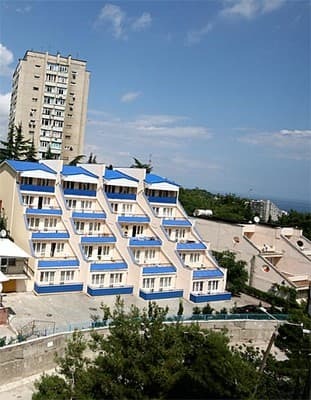 Holiday Hotel "Cascade" is located 50 meters above sea level, in one of the most picturesque places on the southern coast of the Crimea. 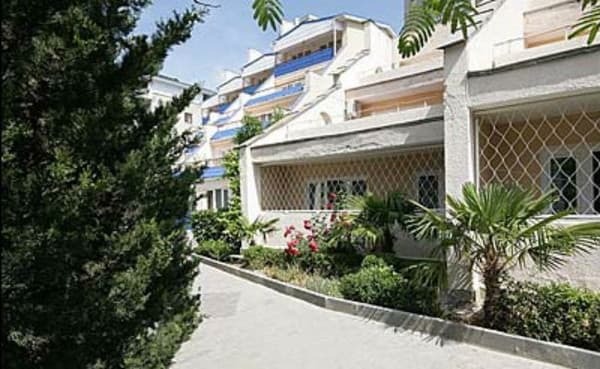 Cascade five-story house is located on the turn of the road in a quiet corner of Partenit, 100 meters from the park avenue leading to the sea (700 meters through the park of the sanatorium "Crimea" on level ground).